In his first original work since the best-selling autobiography FREEDOM IN EXILE, the Dalai Lama calls for a revolution. Not a political, an economic, a technical or even a religious revolution, however, but a spiritual revolution. Our task, he says, is to find some method of adjudicating between the claims of, for example, terrorism and Gandhi's principles of non-violence as a means of political change. And we must find a way to do so which avoids the extremes of crude absolutism on the one hand and trivial relativism on the other. Though religion can certainly help in this, the Dalai Lama demonstrates that there are universal principles we can draw on which transcend the dilemma of belief or unbelief. And whilst many have been content to speak of spiritual matters as something mysterious or evanescent, the Dalai Lama explains his approach in terms that are as clear and concise as they are compelling. In the first instance, he says, a spiritual revolution entails an ethical revolution. 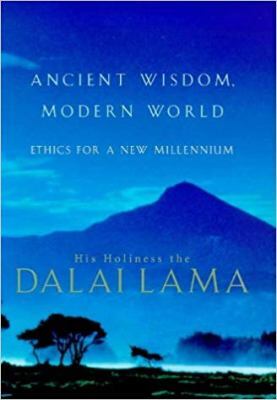 With wit, gentle good sense and with penetrating insight, the Dalai Lama shows how the truths that have stood the test of generations of practise can provide us with the tools to live happy, fulfilled and meaningful lives. In the process, it becomes apparent that he does not merely espouse the 'feel good' religiousity some accuse him of. The reader is left admiring not just the wisdom of the author, but the wisdom of the culture he represents.